Apparently, as I couldn’t afford a crown for tooth number one, this meant that tooth number two deserved no further exploration and was answered with a simple, “Yes, it’s probably the same thing.” Telling me it may, or may not help, Mr. Dentist then added on to a filling I already had. Seeing I don’t really have a place to live – yes, I still have my house, but it’s empty and up for sale (want to buy it? Click contact) – and I have to pay for a place to lay my head anyway, I considered my options and did what many Arizonan’s, Californian’s, and others due to avoid the high-cost of dentistry in the U.S. I flew south. 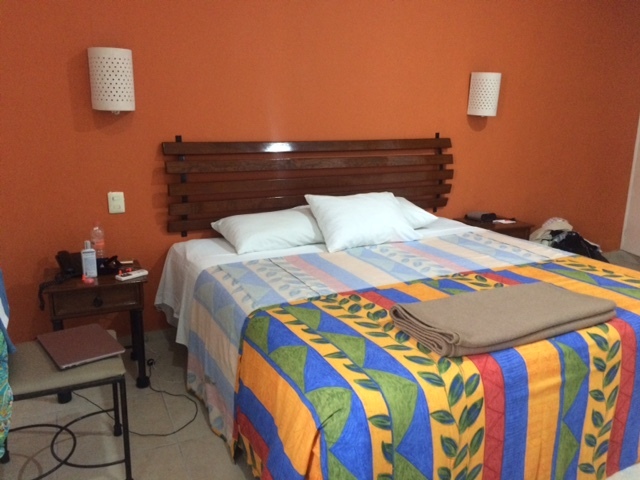 I flew into Cancun and took a very pleasant, four-hour bus ride to Merida (at a cost of about US$20) where I have friends, and where the hotel and restaurant prices are much less expensive than the tourist areas of Cancun and Playa Del Carmen. You’ll recall that I visited Merida previously during our vote on ancient civilizations. It was on that trip that I introduced you to my friend Stewart, aka the International Man of Mystery (IMM) and his partner Jesus, aka Chucho. This time, the IMM and Chucho were kind enough to assist me with choosing a dentist and making an appointment. The IMM E-mailed me prior to my arrival with a choice of two dentists. “The again, perhaps that’s the reason he no longer has a wife,” I added. Before you knew it, I had an appointment with Dr. Miquel Angel Josè Nishikawa (yep, Mexican-Japanese). It was during the first appointment I was told that, in fact, he didn’t believe I needed a crown at all. (I’m not sure he understood that I’m a princess.) He told me that I simply needed to brush with Sensodyne toothpaste and get some mouth guards to wear during both the day and night. He then took a mold of my top teeth and, during the second appointment, I was fitted with two mouth guards – one for day and one for night. It was somewhat disappointing not getting a gem-covered crown to wear, but to add insult to injury, I now had a less than attractive plastic mouthpiece to wear at night. Still, where one crown would have cost about US$1,100.00 in the U.S., and I might have been told I may have, in fact, needed two, in Mexico, my three visits (there was an additional follow-up), two mouth guards, a coating, as I still had some pain on my third visit, and a cleaning (because, without a crown, I had to find some sparkle somewhere), cost me about US$150.00. Add to that a ticket purchased with frequent flyer miles, plus an additional $29 for taxes and fees, along with a hotel room that I’d have to pay for anyway, but which cost me about US$32 per night, and I’m happy with my dental decision. Now, a bit more about that hotel. While the IMM and Chucho own Casa Alux, which I’ve stayed at previously, some Canadians had beat me to it and I needed to find some alternate lodging. 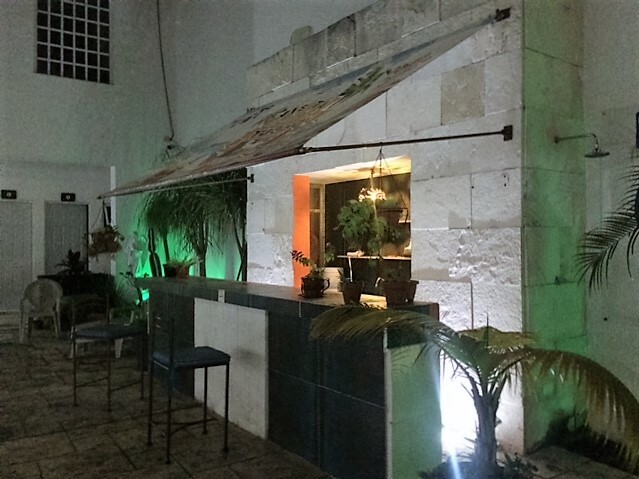 After searching nearly every hotel booking site I normally frequent, and scouring the reviews with the proper amount of skepticism borne from experiences in sixty countries, I settled on the Hotel MariaJose (yes, they spell it as one word). The reviews were good and, opposed to some I’d looked at, they were also recent. I booked eight nights, knowing I would stay in Merida longer, but with a fear of commitment to this yet unseen place. Priced at $690.00 Mexican Pesos per night (approximately US$ 39.67 at time of publication), and often available cheaper on online booking sites (as I said, I got it for US$32 per night including tax), this hotel provides not just great value, but a truly welcoming stay in an excellent location. While they have fifty-four rooms of various sizes and different amenities – one, two and three beds, some with kitchenettes, some with a small refrigerator and breakfast bar – I stayed in the basic single room. It was quite large with its own bathroom, flat screen television and Wifi access. The hotel, like many of buildings in the White City, as Merida is known, is colonial style, which means that the building surrounds a courtyard and many of the rooms, though they have windows, these windows look out into hallways. As I was looking at a long-term stay, I couldn’t imagine staying in a room without natural light, and they were nice enough to switch me to a room facing the pool. Oh, and as for the pool, it’s gorgeous. I was concerned about noise in a room that was literally ten-steps from the water’s edge. My concern was unfounded as, there was only one-night during, what turned out to be an eighteen-day stay, that there was noise – children laughing and music blaring – and things calmed down by 11:00pm. And there was little noise during the day. The MariaJose began to feel like home. Each morning, I’d order breakfast and, while they have a restaurant, they’ll deliver your food to your room or to the pool free of charge. Just as in the restaurant, you tip the waiter. On most days, I enjoyed my breakfast and, on some nights, my dinner, sitting at the table outside my room near the pool. The MariaJose is located on Calle 64 between 53 and 55. This places it in el Centro and just a few blocks walking distance of many of the city’s most famous sights. It’s six blocks from Paseo de Montejo, the Champs-Élysées of Merida, which, every Sunday, is closed to motorized traffic to allow time and a place for bike-riding with family and friends. (They’ve recently tried this on a Saturday night and, rumor has it, they’ll continue that once per month.) This makes for a festive atmosphere during which artists display their creations along the sidewalks, musicians play traditional Mexican music, as well as Louis Armstrong tunes and classic rock, and non-profits hold fundraising and awareness walks. 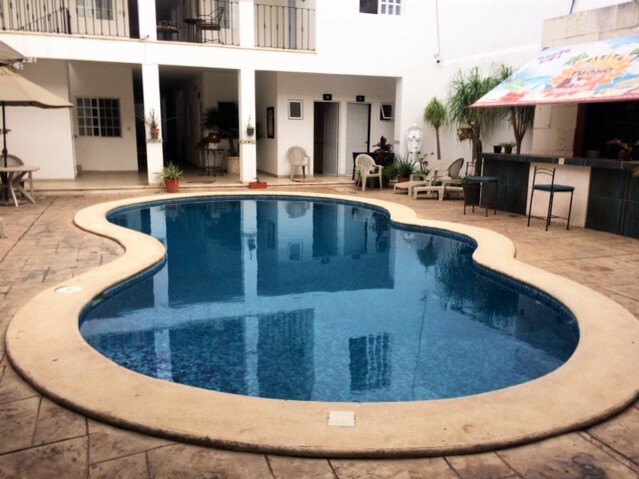 The MariaJose has great air conditioning, a pool, parking, Wifi (though sometimes spotty, it’s dependable enough for this Wifi dependent writer) and can even sell you some tours to see Merida and the surrounding ruins and cenotes. Oh, it’s absolutely non-smoking, even outside (I learned this when I tried smoking my cigar, left over from Cuba, outside on my patio by the pool. The word for “no” in Spanish is “no”.) They’re currently doing some construction to add eight more rooms (though there was no noise issue concerning this during my stay). And speaking of tours, that’s the business I’m considering opening. 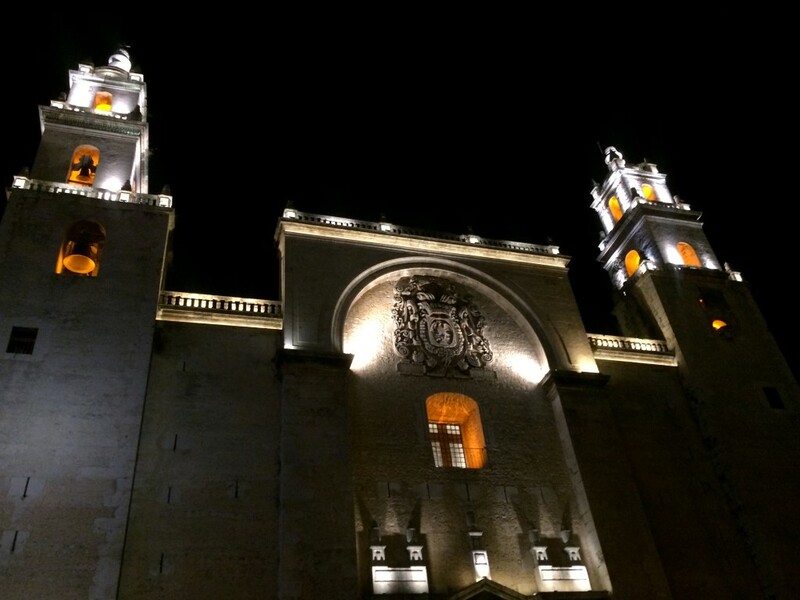 Merida has an up-and-coming arts and culture scene, as well as some traditional Mayan artisans. The culinary scene, while known for some very specific regional dishes, is also expanding. Still, the city maintains its colonial charm along with some stunning architecture. 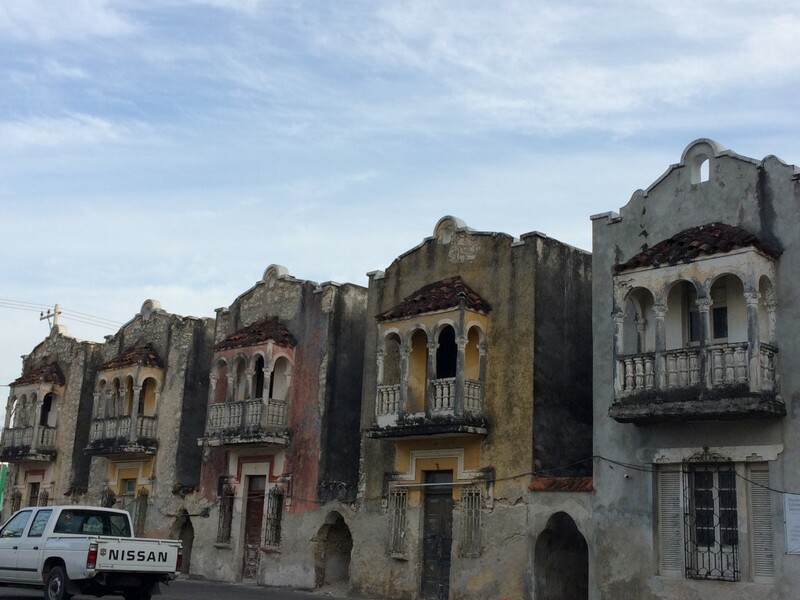 Stand by for what might soon become Drop Me in Merida Walking tours. Still, it’s early in the process so, ssshhh, don’t tell anybody yet.